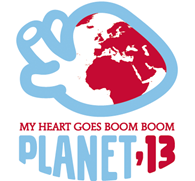 The Scouts and Guides of Upper Austria are organising a Jamboree, Planet 13, from 5th to 14th August 2013. 3500 participants between 13 to 20 years old are expected. All scouts and Guides from others organisations of WOSM and WAGGS are invited to join. Our planet, its diversity and its beauty will be at the heart of the activities. The venue of the Camp Site will be a good way to enter into the theme. St Georgen/Attergau camp site is indeed a “door to the world of lakes and mountains”. The camp will be organised to minimize the environmental impact. It will give good ideas and examples to all participants on how to reduce our foot print! According to the age of participants, different levels of involvement will be proposed to the participants. There is also a possibility to join the camp as service team.